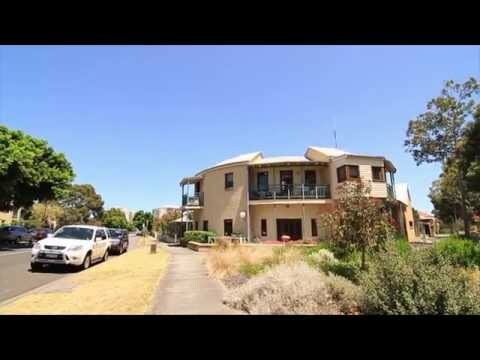 Port Melbourne Hostel offers affordable, high quality accommodation and support to 35 men and women aged 50 years and over, targeting those from a financially disadvantaged background. Located on a leafy, modern street in Beacon Cove, five kilometres south-west from Melbourne's CBD, we are within one kilometre of excellent shopping, light rail stations and Garden City Reserve. Residents have their own fully furnished bungalow style room with a personal shower and toilet. All rooms face onto a private verandah, giving you extra space to enjoy. Providing a safe, flexible and caring family style environment it allows you to maintain your chosen lifestyle, habits and activities and to be as independent as you choose to be. We promote independence with everyday activities and offer a recreation program that caters for individual interests. This includes resident trips away and the quiet enjoyment, should you choose, of an alcoholic drink and smoke. The range of services available includes the provision of all meals and refreshments, cleaning and maintenance, laundry and linen services, assistance with personal hygiene and daily living activities, assistance with medication and treatments, access to a range of health services including podiatry, physiotherapy & speech therapy. Our gardens feature a pond and are tranquil as well as exceptionally beautiful. The hostel has its own pets as well as a bus to make activities all the easier to arrange and participate in. We offer assistance with financial and legal matters and there is provision for individual room telephones.